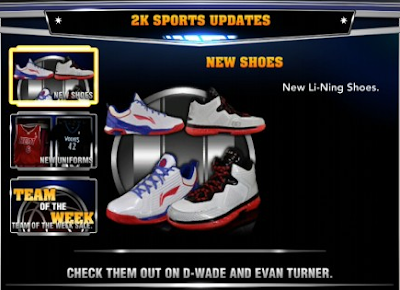 The latest NBA 2K14 roster update for current-gen includes the addition of two Li-Ning brand shoes and unlock of new uniforms. 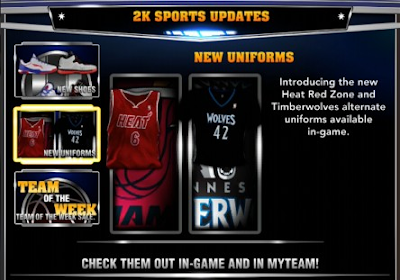 The Red Zone alternate of the Miami Heat and the black short-sleeved jersey of the Minnesota Timberwolves are now available to use in-game. The update also adjusts several player ratings and team rotations, accurate as of December 6th, 2013.